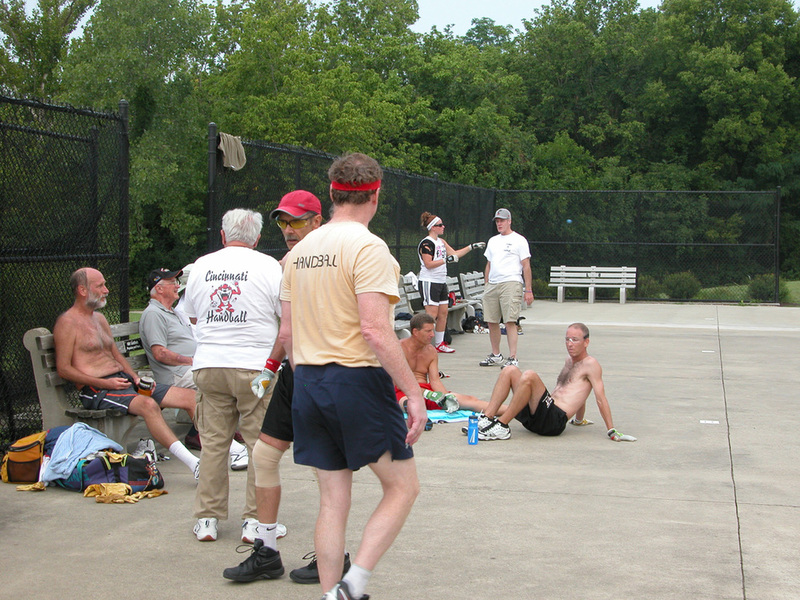 The last of the 3 Wall 2014 Summer Cutthroat Tournaments was played on August 2nd at Veterans Park. 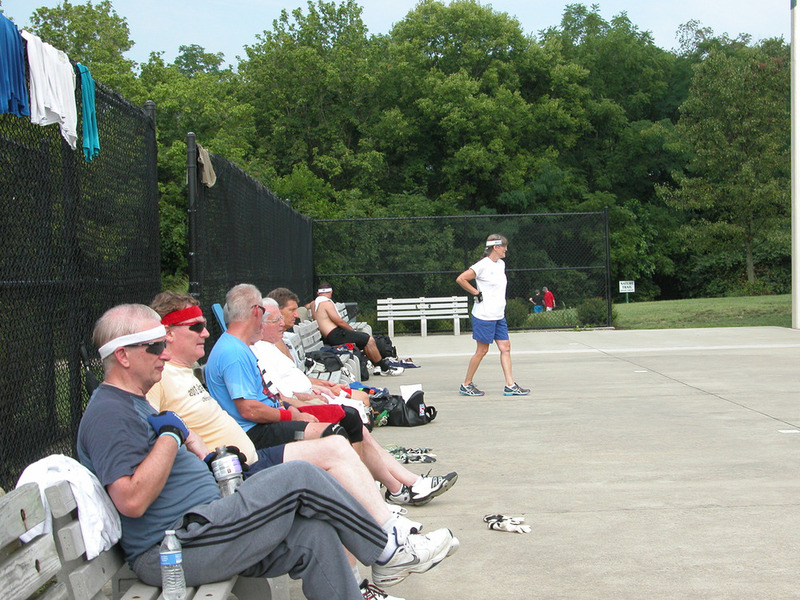 Three courts were made available, and included a maximum five player bracket played on each court. Prizes were awarded to first and second place on each court. 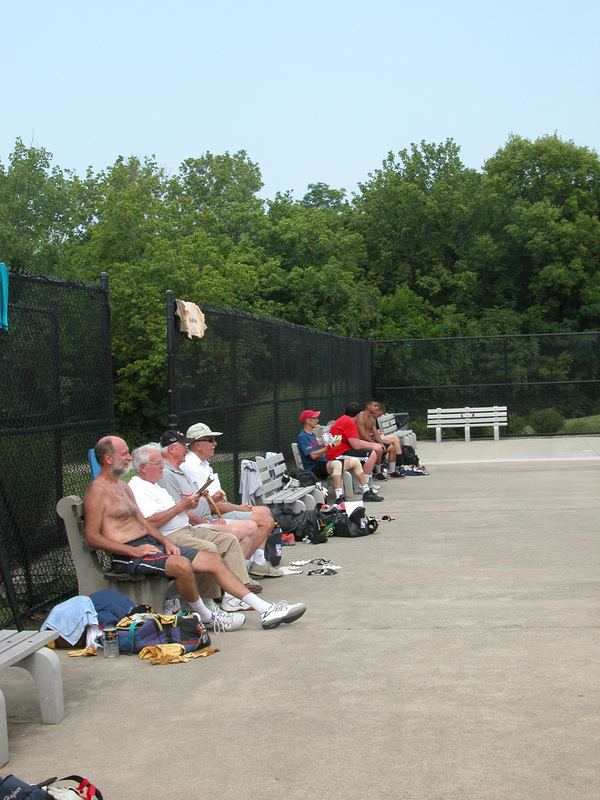 Lunch was pizza and wings from Angelo's on Harrison Ave.
On court one the players were: Denis Hogan...1st, Kyle Bradley...2nd, Alan Viets...3rd, Mike Hafner, and Bob Shaef. 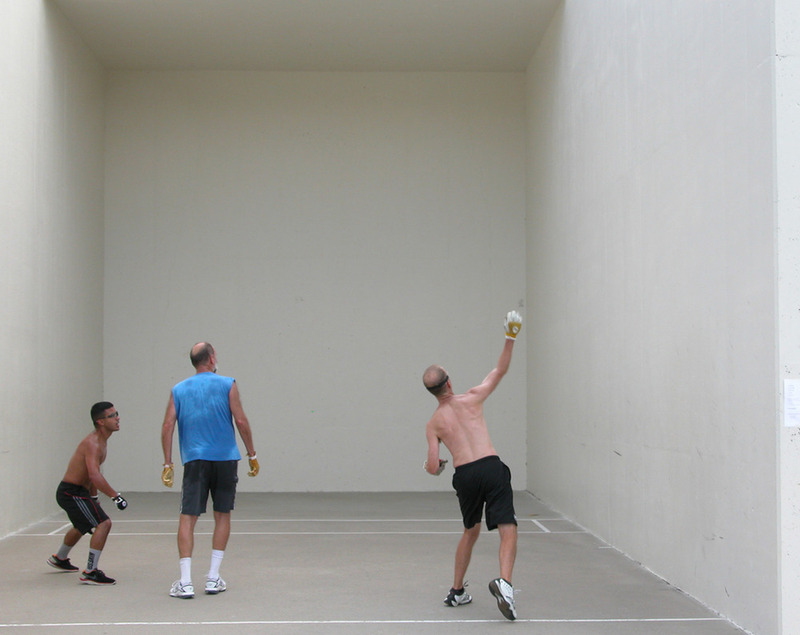 On court two: Scott Walker...1st, Micah Garcia...2nd, Carl Huether...3rd, Richard Gregg, and Greg Fite. 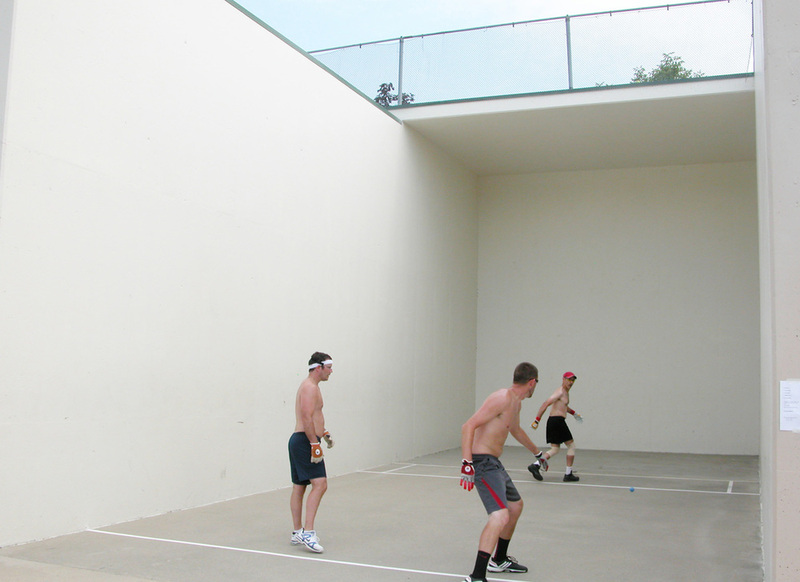 On court three: Zack Engelhart...1st, Bill Dowd...2nd, Blake Couldwell...3rd, Mary Parks, and Amy Viets. The Cutthroat Tournaments will continue on October 11 at Waycross, with the “Welcome Back..back wall tournament.” For information on the tournament contact Ralph Weil at 513-521-1536, or at ralphweil@zoomtown.com.